Happy Thursday in what has now become the longest short week of 2017 careening into probably the worst weekend of the year for most of the Southeast. 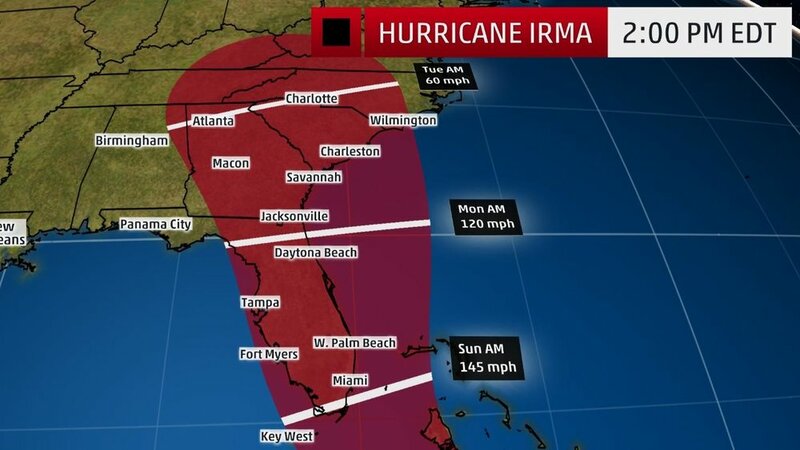 As of the time of this post, here's the current Hurricane Irma outlook. Not good. We're even going to get spanked in Atlanta. If you're in this area, please do whatever you can to keep yourself safe. It's scaring me to see so many people wanting to wait this out. Um... no. Get the hell out. Like, now. In other news, I am chipper and cheerful today as I get ready to watch the world flood and burn. My knee is still a mess, but I had to go to the rink and at least get something done since I won't be around Friday or Saturday. I took it easy today and just focused on some minor choreography changes we wanted to make to one program after we watched the World Championships the other day. I wrapped my knee, but it was still frustrating since I have no deep knee bend to speak of on that side, and if you've ever been a skater or a dancer, you know that you are nothing without a knee bend. I did stop and buy a proper knee brace on the way back to the office, and I'm going to be extra diligent about taking my MSM every night. I think it's just overuse from the weekend, not injured, and I'm sure a couple of days resting will do it a lot of good. If you want to see more of what I'm up to, check out my Instastories (@yourmomentofjenn) and Snapchat (@writewinerun). Just a girl and her jank knee. I have nothing else to really talk about today. Just sitting here adulting my heart out at the office since I won't be here tomorrow. I'll be off doing romantic and gross couple-type things before the Hurricane obliterates us. Oh and probably stocking up on booze. I don't really drink anymore, but it seems like an opportune weekend to sip spirits by candlelight. Again, stay safe peeps in the path of this thing. Hell, head to Atlanta with a box of Franzia and let's make it a party.